he is faithful in all he does. the earth is full of his unfailing love. their starry host by the breath of his mouth. he puts the deep into storehouses. let all the people of the world revere him. I’ve heard it said before how characters in the Bible and the stories of their lives mirror our own so well. 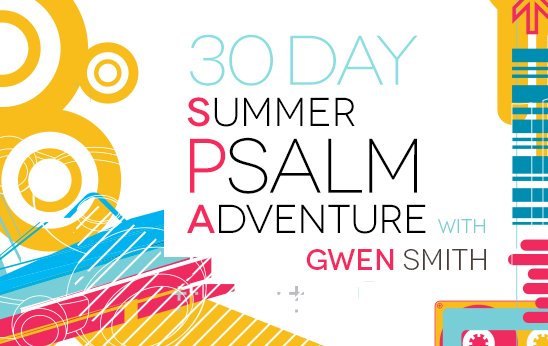 I’ve been reading the Psalms on a SPA journey with Gwen Smith of Girlfriends In God, a Summer Psalm Adventure (link up below). My challenge in getting into God’s Word has always been the language and historical context so I decided to read the Psalms in the NIV and The Living Bible. This past weekend while sitting with my feet in the cool waters of our pool I listened to the audio reading of some of the Psalms. The Word of God is so alive and it effortlessly enlivens wherever it flows. I’m glad I committed to the SPA journey because that accountability keeps me committed. These first 50 songs of David have wearied me and encouraged me. David was so wishy-washy, wouldn’t you agree? I kept thinking, get it together already. Just a roller coaster of Victory and Despair, Peaks and Valleys, Courage and Fear, Declaring Christ and Questioning Christ. 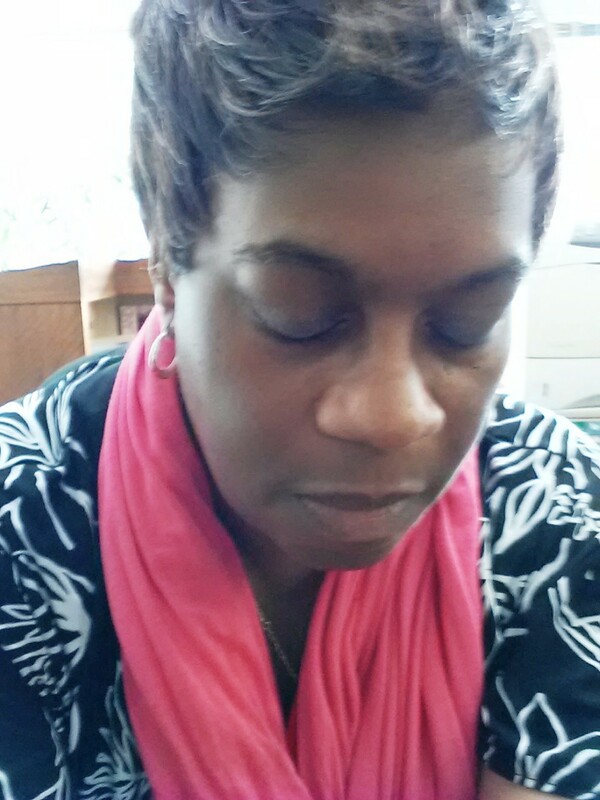 How we must weary God with our see-saw faith. One day, victorious, conquering, powerfully proclaiming God’s greatness and the next, despairing, fearful, pleading for His rescue. Assured today and whining the next when we don’t hear Him, when we don’t feel Him, when we don’t see Him because He sits in silence watching us, listening to us, examining our pitiful state. Our God is merciful, but He is also a righteous judge. He is loving, but He is also a disciplinarian. Most importantly, He is our Father. He is ever present, even when He feels distant. He is always defending us, even when He knows we need chastisement. He loves us, even when we are not worthy of His love. David seemed to doubt God when he doubted himself; he seemed to conceive when he erred or fell short, that God was somehow like him. God is not like man and praise Him for that. God, in all of His paramount divineness dealing with us in all of our humanness, won’t let go of us. So let us be careful not to get tripped up in our missteps or shortcomings but to come boldly to our Father, confessing our faults that He may forgive us and no judgment will touch us. (Psalm 32:6 The Living Bible) We must love God with a pure heart, always holding Him in esteemed reverence knowing He does not change, He is not like man. We can trust Him, we can depend upon Him, He will not ever forsake us, He won’t let go of us. 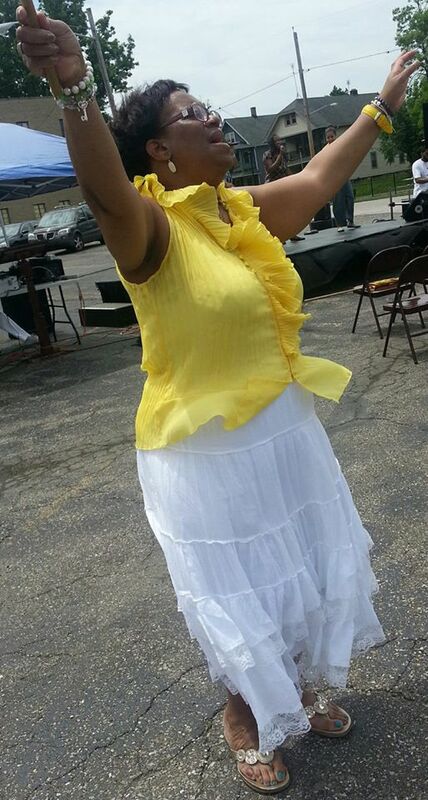 I am amazed that You Love me … Oh how You love me! You won’t let go of me, You won’t let go, never let go. I was glad to discover the word Silence in the definition of RHYTHM. As I considered the prompt and staying true to what I like to share here, I kept thinking about the RHYTHM of Silence. The Silence in our lives is drowned out by so much noise: environmmental, physical, emotional, technological, volumes of signals from everywhere pulsating and reverberating in every space of our lives. You can’t turn it off, you just have to steal away. I love, what I call my down days, when my Love has rehearsal or an evening meeting and I can come home to Silence. I shed the world of the day and just listen to the RHYTHM of the Silence. The strong and weak elements of restorative peace, ‘me time’ some call it. We need that type of RHYTHM in our lives and we must seek to carve out those necessary moments. When we’re overloaded with the cares and responsibilities of life, commitments and obligations to others, the RHYTHM of Silence is where we find retreat and renewal from all the noise. Don’t be afraid to steal away alone in your secret place, for a walk, to sit along a shoreline, browsing among beautiful things, taking a drive to nowhere particular with no scheduled time to be there, or time in simple meditation with God and His Word. 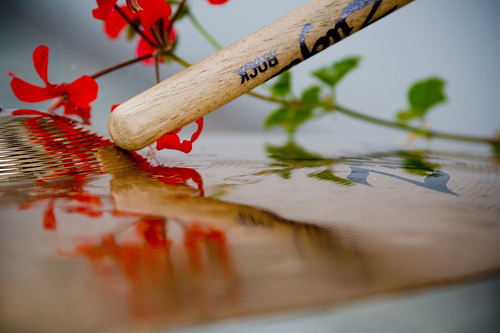 The RHYTHM of the Silence, ordered, recurrent, flowing, relaxing, healing, restoring, cleansing, renewing. Today I’m linking up with the Five Minute Friday and writing on the prompt given by Lisa-Jo Baker. This week’s word is RHYTHM. Those liberating, decisive moments … I live for them, every one. Those ‘walking away’ moments like Andy Sachs in Devil Wears Prada. Those ‘Defying Gravity’-declarative moments “… I’m through accepting limits ‘cause someone else says they’re so.” Those Effie White ‘I’m gonna win’ moments and this Deena moment … “the time has come for my dreams to be heard” and I won’t be denied “cause you won’t LISTEN”. How often do you find everything in you crying out, like the silent scream no one hears, no one is listening. Everyone consumed with themselves, their own being, their own-ness. You seek acceptance, validation, belonging, but no one hears, no one is listening. You do the thing (whatever it is), play the game, dance the dance, endure the struggle, but no one hears, no one is listening. You live the nightmare, sacrifice, build up and bless others, pour out and into others, but no one hears, no one is listening. What about who you are? Like Deena, what about your dreams? What about your thoughts, your voice? What about what you want to do or be? No one hears, no one is listening. He hears and He listens. Stop. Be very still. Close your eyes. Open your heart. LISTEN. Do you hear Him? Jesus? He’s LISTENing. Today I’m linking up with the Five Minute Friday and writing on the prompt given by Lisa-Jo Baker. This week’s word is LISTEN. Tragically, we hold on to offenses like a security blanket or badge of honor. They become a wall of imprisonment and isolation that produces nothing but insecurity and self-doubt. They become our EXCUSE for not being all WE ALREADY ARE (Thanks, Karla M. Randall of SHINE). Excuses are essentially filled with corruption (an undeniable lesson I learned from my Pastor, Bishop C. Wayne Brantley). Things people have done, said, thought, or we perceived to be so without truly knowing, like sandpaper they rub away at our existence and ability to live and move as the LIBERATED ‘Me’ and ‘YOU’ Christ gave His life for us to be. At some point, like a growing, maturing, developing toddler, in our life and in our walk with Christ, we must let go of the security blankets, the crutches, the hiding, the shrinking, the excuses. At some point, through maturation, we must DECIDE, we don’t need the false constructs that we lean upon or hide behind. Because when we’re FREE, we can fly. Take those broken wings and learn to FLY. Soar above the turbulence of instability and imbalances because above the clouds of what was done, said, thought, or perceived is a crisp clear realm of limitless, boundless, unshackled, unrestrained, LIBERATED YOU! Song of Songs 1:2 TPT -Let HIM smother me with kisses—HIS SPIRIT-kiss divine. So kind are YOUR caresses, I drink them in like the sweetest wine!